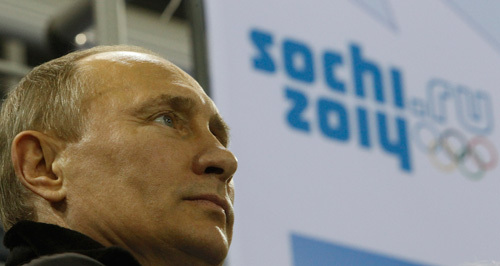 “We also face destructive anti-Russian activities by certain foreign countries and non-governmental and international organizations under their control that still see the North Caucasus as a foothold for their attempts to destabilize all of Russia, to damage our economy, to undermine Russia’s influence and to limit our activities on the international arena,” Putin told Russia’s Security Council. Migration authorities in Sochi on Tuesday kicked off a campaign to catch migrants working in the country illegally in an effort to rid the city of all illegal migrants before next year's Winter Olympics. While the Kremlin is amassing a huge security infrastructure in the region around Sochi to prevent any terror attacks, the international community is doing its best to sabotage Russia's fight against Chechen terrorism. In March, Moscow submitted a request to the United Nations Security Council asking to add two names and the Turkish organization Imkander to the Al-Qaida Sanctions List because of their links to the Caucasus Emirate and its mouthpiece website the Kavkaz Center. Meanwhile, Georgia, one of the primary supporters of Chechen terrorism against Russia, pushes its integration into the North Atlantic Treaty Organization. Moscow is very concerned about this prospect and there has been some speculation whether Washington would be willing to trade Georgia's NATO membership for a Russian favor on Syria. Bilateral cooperation issues in the defence field between the U.S. and Georgia was a main topic of discussion. The Georgian side familiarized the foreign visitors with the current defence reforms and the concrete steps taken for enhancing transparency and parliamentary control with the Defence Ministry. A special attention was dedicated to Georgia`s integration into NATO. Discussions referred to the issues of human resources management and military education too. 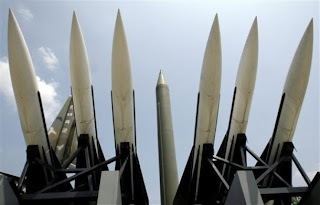 Work on the US missile defense system at a military base in southern Romania will start in early October, Romania’s Defense Minister Mircea Dusa announced this week. The US’ recent policy moves should force Russia to think seriously about the its policy toward China. The US, which is known to defend its own interests in international relations, is now reluctant to talk with Russia on equal terms. So Russia and China should work more closely to coordinate their actions on the global stage to prevent international relations from returning to the era of power politics when countries’ sovereignty was violated with impunity by the US. State-backed China Shipbuilding Industry (601989.SS) plans to raise up to $1.4 billion through a private share sale to buy assets used for building warships, the first time Beijing is tapping the capital market to fund its military expansion. The move comes as China creates its own military-industrial complex, with the private sector seen taking a key role, as the country gains a new sense of military assertiveness and deals with a growing budget to develop modern equipment including aircraft carriers and drones. Analysts have already noted evidence of a new conventional arms race between the two nations. The US and China have the world's highest defense budgets, running up to US$682 and $166 billion in 2012, respectively, according to the Stockholm International Peace Research Institute (SIPRI). The Russian government has reportedly allocated 20 trillion rubles ($640 billion) for the comprehensive rearmament of the Armed Forces that will see the share of modern weaponry rise to 30 percent by 2015, and exceed 70 percent by 2020. Russia will deliver a third battery of Tor-M2 air defense systems to Belarus by the end of this year, Belarusian Defense Minister Yuri Zhadobin said Wednesday. Moscow and Minsk signed an agreement on the joint protection of the Russia-Belarus Union State's airspace and the creation of an integrated regional air defense network in February 2009. The S-500 could become a trump card in Russia’s response to the US-backed European missile shield, which Moscow believes may threaten Russia’s nuclear deterrent. Furthermore, the 'outdated' S-300 systems will be replaced with new S-350E Vityaz mid-range air defense systems. 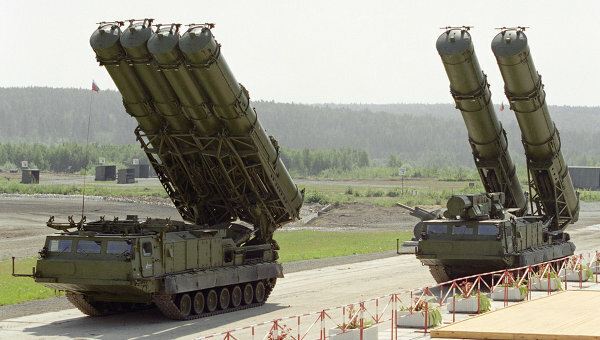 Damascus and Tehran would be delighted to get at least some of the 'outdated' S-300s. "The presidents decided to add an impetus to bilateral economic relations and intensify the contacts," Kremlin press secretary Dmitry Peskov told journalists following the meeting. The two leaders "had a long and detailed conversation on Syrian affairs," he said. "Tehran, Moscow and Beijing are more than ever united on bringing about a new multipolar international order. They share the vision that a victory for the axis of warmongers on Syria will be the prelude for a future war on Iran - and further harassment of both Russia and China." All SCO member-nations came out for an exclusively peaceful settlement of the Syrian conflict and supported Russia’s efforts to that end, which was reflected in the Bishkek declaration, says the Head of the Chair of School of Oriental Studies, State University “Higher School of Economics”, Alexei Maslov, and elaborates. "We understand that all the global community is concerned about the state of our country after the withdrawal of the international coalition. We will prevent violence and strengthen national security. Afghanistan will be able to solve this problem together with the SCO countries," the Afghan president said. 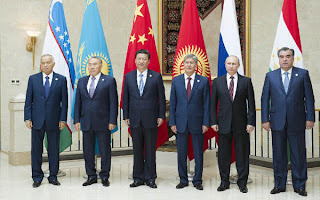 "For Beijing, the virtue of the "Stans" -- the five Central Asian republics -- is that they have relatively strong authoritarian governments with whom the Chinese can deal [as they] hope to contain cross-border shipments of arms or the movement of the [Uyghur] population. The disintegration of authority in Afghanistan -- the continuing situation, particularly along the Afghan border and Pakistan -- make it much more difficult to control the Uyghurs in that area." “Kyrgyzstan and China will strengthen fight against terrorism and religious extremism,” Kyrgyz Vice Prime Minister Tokon Mamytov informed 24.kg news agency today on the results of negotiations with the Chinese delegation. According to him, law enforcement agencies of two countries will strengthen cooperation in fight against terrorism, illegal drug trafficking, religious extremism, separatism and organized crime.